Ah, chocolate and cannabis. The perfect pairing. The most likely way of getting getting to you started with the cocoa bean originating in the Amazon rainforest. The cocoa bean then took a journey on north up to Mesoamerica. The inhabitants there figured out the cocoa bean is useful, and could be grown, fermented, roasted, ground up, and then mixed with water and spices to create a flavorful, delicious treat that made people feel happy and relaxed. From there, the cocoa bean made its way on a boat across the Atlantic. Europe wasn’t too much of a fan when it first reached them – – That is, until someone added some sugar. That’s when cocoa really skyrocketed in demand and popularity, sweeping across the continent and paving the way for the creation of large companies like Nestle, Hershey, Lindt, and more. All Swifs chocolate edibles are made with fair-trade sourced chocolate for quality you can count on. Today, chocolate is everywhere. And so is cannabis. With cannabis use being legal here in Washington, the pairing of chocolate and cannabis has continued to grow exponentially in popularity. But, why is it so popular? What makes cannabis and chocolate pairings such an in-demand concept? Let’s take a look at that . . .
Why is Chocolate + Such a Great Pair? Chocolate contains a chemical compound that makes us feel happy and blissful. This chemical compound, anandamide, is also found in cannabis. It also naturally occurs in the brain of most people. When you consume chocolate and cannabis together, such as in a chocolate edible, the THC activates the brain receptors that produce anandamide. This creates the blissful, relaxing high of chocolate edibles. Pairing your cannabis with coffee creates similar effects, but chocolate still reigns king. In fact, many cannabis users report having a better high and effects from chocolate edibles than from other types of cannabis-infused treats. Just be sure to have some regular chocolates on hand to eat prior to indulging. That will help with the inevitable case of powerful munchies. 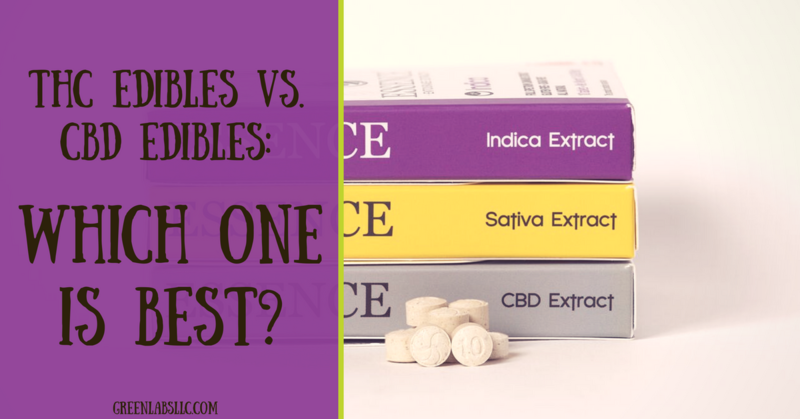 Chocolate edibles have the best of both worlds, and all the anandamide! However, while the equation may seem like a simple one, pairing cannabis with the right type of chocolate can be a bit tricky. Okay, it’s a lot tricky. Both cannabis and chocolate come in such a rainbow of flavors and textures, which makes pairing the perfect choice of chocolate with the perfect type of cannabis a deeply precise science. White Chocolate is usually made with the primary ingredients of cocoa butter, sugar, and milk solids. The rich sweetness of the white chocolate pairs well with cannabis, and delivers the blissful high chocolate edibles are known for. Swifts Cookies & Cream Truffles are hybrid cannabis edibles that absolutely melt in your mouth. Wrapped in an artisan chocolate shell and filled with a decadent crème chocolate ganache that tastes the way luxury feels, these while chocolate truffles are the ultimate indulgence of Washington chocolate edibles. These hybrid truffles are some of the most popular choices when it comes to Washington chocolate edibles. Who can resist these chocolate edibles? Milk chocolate has a unique sweet, but mildly so, flavor that complements cannabis perfectly. When searching for a milk chocolate treat among all the different Washington chocolate edibles, you’re going to want to check out Swifts Milk Chocolate Truffles, and pair it with a glass of milk for an extra indulgent treat. These truffles are truly a gift to your taste buds, with their artisan milk chocolate shell that enrobes a rich crème chocolate ganache. Decadent and divinely indulgent, these Swifts Milk Chocolate Truffles are some of the most savored Washington chocolate edibles available. If you’re here in this state, then you’re lucky to have access to all sorts of Washington chocolate edibles. This offers the opportunity to taste some great Swifts Malt Balls. The chocolates were made by skilled artisans. The crunch of the toasty, malted center blends luxuriously with a rich coating of fair-trade sourced, 54% dark chocolate. Always in popular demand, these Malt Balls are the favorite indulgent Washington chocolate edibles. When it comes to indulgent chocolate edibles, Swifts Chocolate Covered Hazelnuts are a must! The Swifts artisan chocolatiers produce a range of popular Washington chocolate edibles, but most notably, Chocolate-Covered Hazelnuts. The sweet, buttery crunch of hazelnuts complements the rich coating of fair-trade sourced, 54% dark chocolate couverture. 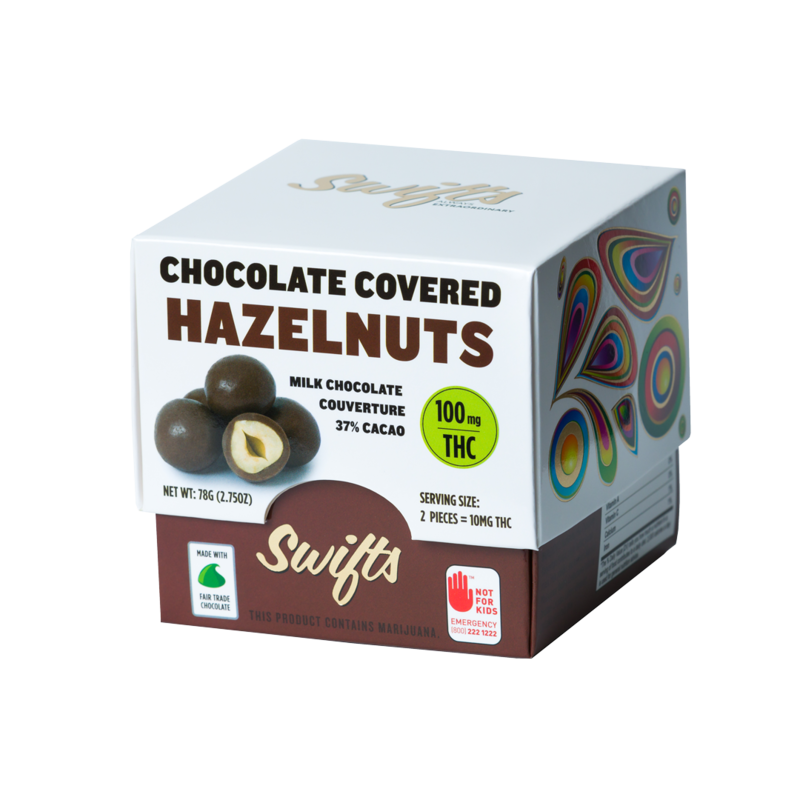 Another overwhelmingly popular customer favorite from Swifts, each hazelnut pair has 10mg of THC. This is your moment. Indulge in it. Swifts Chocolate Covered Almonds are popular chocolate edibles you don’t want to miss! Almonds are classic pairings for chocolates, but Swifts mixes things up a bit by pairing it with buttery soft almonds! This decadent chocolate is smooth, with a smooth, rich coating of fair-trade sourced, 54% cacao, dark chocolate that melts and pools over your tongue. Bite down into the buttery-soft almonds with a satisfying crunch as it breaks apart into the classic savory, sweet flavors these Swifts Chocolate-Covered Almonds are known for. Also, check out our Instagram Page for more decadent chocolate edibles and Our Twitter for product updates and interesting cannabis content.